Javad Nekounam, the Capitan of Iran’s national football team, officially joined Esteghlal signing one year contract. “Thanks god, we finalized our deal with Javad Nekounam as we promised before to our fans. Javad signed official contract with Esteghlal.” Ali Fathollahzadeh, the President of Esteghlal FC, said after completing Nekounam’s transfer. “Im happy” Javad Nekounam said. He will talk about his transfer in a press conference tomorrow in Esteghlal’s camp. Nekounam will wear the number 6 jersey in Esteghlal. 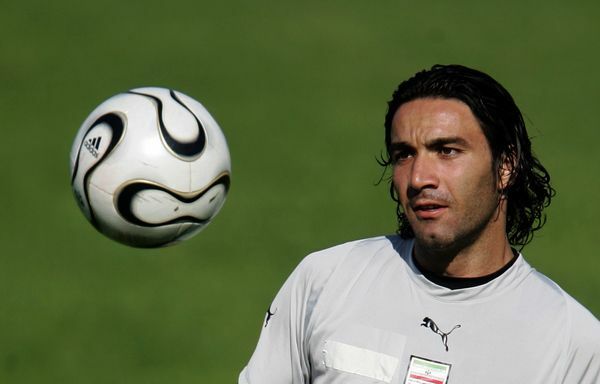 Also Amir Ghalenoei, the head coach of Esteghlal, will appoint Javad as the first Capitan of the team. After his performance at the 2006 World Cup many clubs in Europe were in the running to sign Nekounam, mainly Hertha BSC of the Bundesliga and French Ligue 1 outfit Olympique Lyonnais, but he eventually joined La Liga side CA Osasuna. From 2006 to 2012, Javad Nekounam used to play for Osasuna in La Liga. He appeared in 149 matches and scored 24 goals.